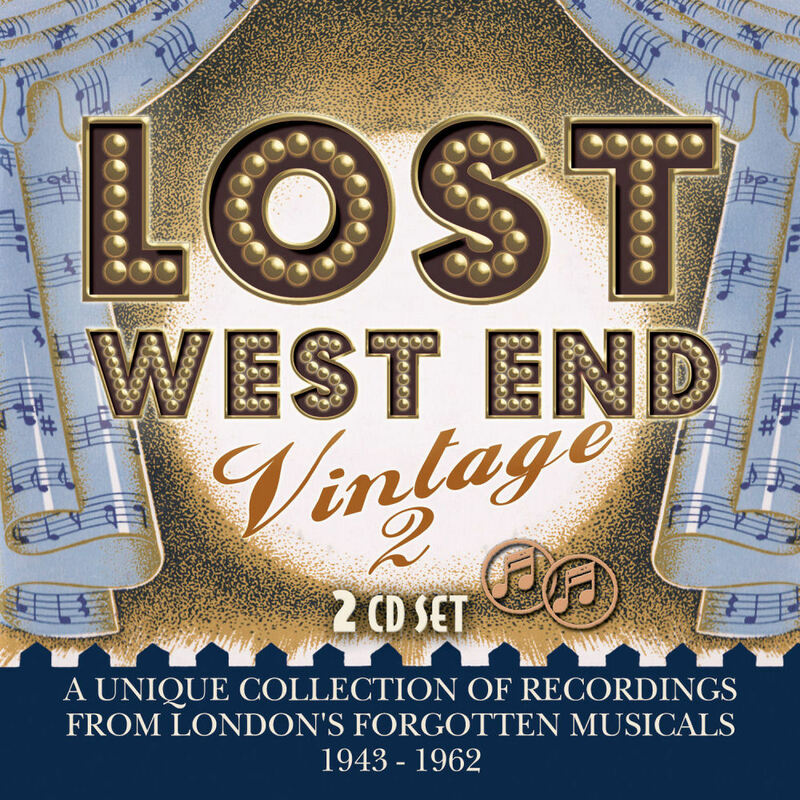 Following last year's critically acclaimed release of 'Lost West End Vintage' (highlighted in The Sunday Times as an 'Essential New Release') Stage Door are pleased to continue the album series with 'Lost West End Vintage 2'. 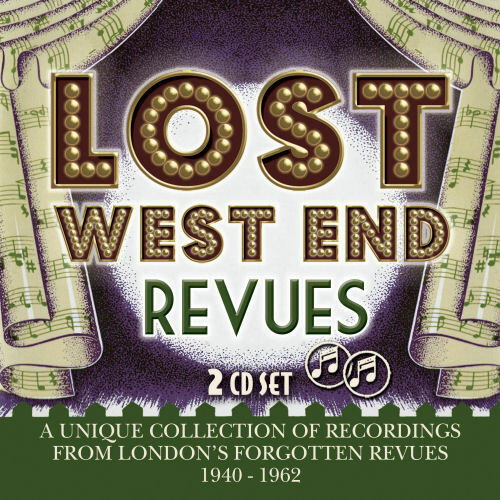 LOST WEST END VINTAGE 2 celebrates London's forgotten musicals of the 1940s, 50s and 60s compiling songs from 37 West End productions and showcasing these unique theatrical works from the golden age of the British musical. Ranging from 1943 to 1962, the selections featured include a broad range of musical styles and genres from prolific musical theatre composers including Ivor Novello, Noel Coward, Vivian Ellis, Julian Slade, Sandy Wilson, Lionel Bart, Leslie Bricusse and more. 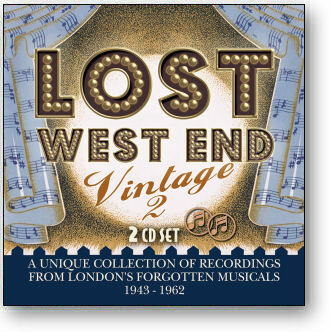 Presented as a Deluxe Edition 2CD set; 'Lost West End Vintage' features 50 tracks (including over 20 tracks appearing on CD for the first time) from London cast recordings to pop covers, demos and other musical rarities. The album includes recordings by a glittering ensemble of star performers including; Mary Martin, Jeremy Brett, Sally Ann Howes, Dora Bryan, Julie Wilson, Evelyn Laye, Barbara Windsor, Elizabeth Seal, Cleo Laine, Frank Sinatra, Julie Andrews, Anna Neagle, Spike Milligan, Joan Sims, Millicent Martin, Denis Quilley and more. Although the shows didn't last, their music lives on and this collection affirms that the 'lost' musicals featured are well worth rediscovering. 5. THE PROMISE IN YOUR EYES - Oscar Rabin Band with "Diane"